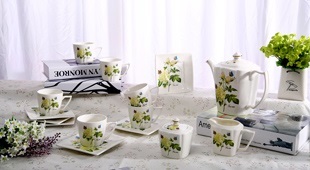 Chaozhou Hongzhihai Ceramics Co.,Ltd.specializes in producing daily-used porcelain.Our main products include Ceramic Gifts,Korean Style Dinnerwares,Coffee Sets,Chinese Style Dinnerwares,Red pocelanins,Etc.,well sold to domestic market. 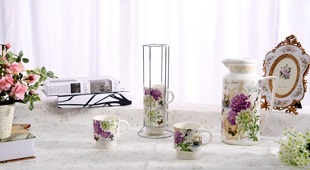 Since established for more than ten years, our company depends on strong economic strength, mature craftwork and technology, and advanced facilities, bringing out exquisite porcelain that are abound in oriental artistic features. The products are full of local traditional style and receive great favor from vast clients by their handsome appearance, novel design and exquisite hand painting. 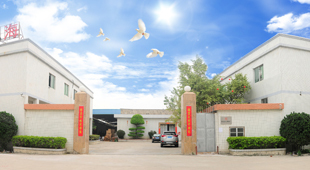 Adhering to the idea of " Honest Management, Superior Quality Clients Satisfied and Create Brand", our company sincerely welcomes clients from home and abroad to establish business relationship with us. Let's work together for mutual success! Copyright© Chaozhou Hongzhihai Ceramics Co.,Ltd..All Rights Reserved.